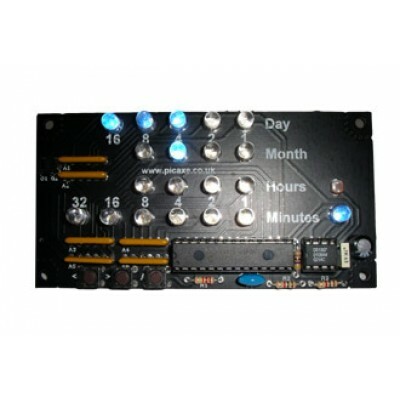 A kit to make a fascinating binary clock. Multiplexed bright blue LEDs show the time in an unusual manner! Shows date and time, using battery backed DS1307 RTC. 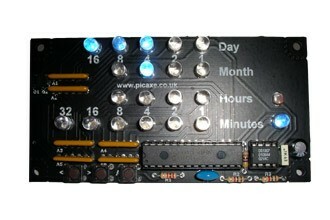 The PICAXE-28X program can be modified to add your own alarms etc. Optional case (AXE114C) also available.